Established for over 80 years Dearnleys are one of the country's leading manufacturers and installers of high quality solar shading solutions, curtains and cubicle tracking systems for the commercial and public sectors. Our dedicated technicians and specialists typically work with architects, engineers and clients at an early stage of a project so that the most appropriate solutions can be provided based on client requirements, site conditions and budgets. 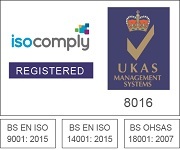 Dearnleys are certified to ISO 9001 (Quality Management), ISO 14001 (Environmental Management) and OHSAS 18001 (Occupational Health & Safety Management). As specialists in the commercial and public building sector we only offer products with a proven heritage in these markets. We provide all types of internal and external window blinds, cubicle and curtain tracks as well as curtains, shutters and insect screens. With over 80 years experience Dearnleys have provided solar shading and privacy solutions to tens of thousands of buildings across the UK. Many of the leading architecture firms use our expertise and we have worked for every leading main contractor. A particular specialism for Dearnleys is in the healthcare and educational sectors, where, for over half a century we have been designing, manufacturing and installing products in these multi-user environments. Our entire workforce is directly employed, enabling us to control the quality of the work carried out. All site staff are CSCS accredited and either SSSTS or SMSTS accredited. Many have other qualifications including IOSH, NEBOSH, IPAF, and PASMA. Dearnleys also practice continuous Health and Safety development of all staff. 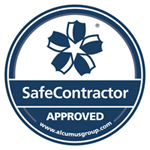 In addition to this Dearnleys is accredited to CHAS (Contractors Health & Safety Scheme), Constructionline and Safecontractor as well as being a member of the BBSA (British Blind and Shutter Association). To find out more how Dearnleys can help you just contact one of our specialists now.